Set yourself up for Instagram success. You’ll learn all the basics plus tips and tricks to get you posting the right content, engaging with your audience and using hashtags to maximum effect. Instagram is growing quickly with 16.7 million monthly users in the UK alone. It’s a visual channel that baffles businesses who want to know how to use it to create connections and promote what they do. Sound like you? This is the workshop for you. Setting up or improving your Instagram business account. Hashtags, what are they and how to make the most of them. Connecting with your target market. Tips and tricks for improving your Instagram for business skills. The workshop is run by Kimba Cooper of Kimba Digital Marketing. Kimba is an experienced digital marketer who over the past decade has worked for companies such as the Big Lotter Fund and Arriva Trains Wales. She has several Instagram accounts for personal, business and her part-time hobby hula hooping. Kimba is always learning about new apps and techniques for marketing online and is a bit of a social media addict. 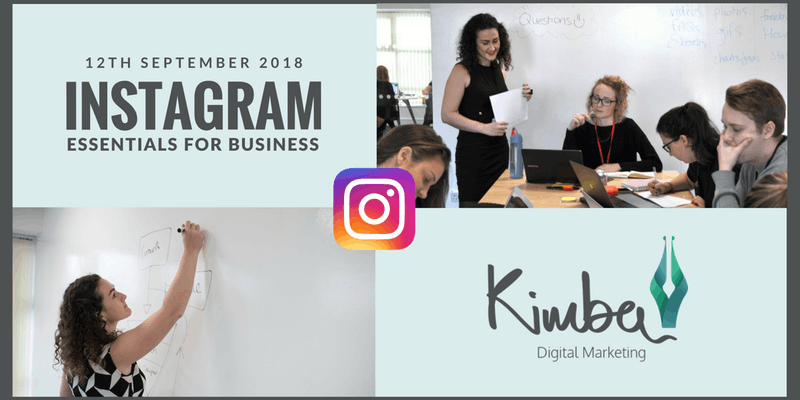 In May 2018 Kimba launched #InstaBizWeek a week-long free challenge for businesses to learn more about Instagram which attracted over 120 businesses.